There’s no wrong way to be a member of our Sisterhood. Whether you have lots of free time or a life of “non-negotiable commitments”, there is a place for you in Sisterhood. Some members are just born volunteers and some would rather participate only in activities that interest them; still others prefer to pay dues and nothing further. Your membership is welcome at any level. Men may also show support of our Sisterhood by becoming associate members. 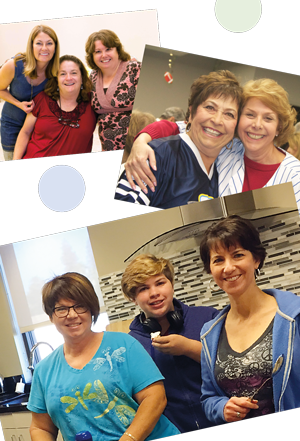 And as a dues-paying member of Sisterhood, you are part of the Women of Reform Judaism (WRJ), an international organization committed to ensuring the future of Progressive Judaism throughout the world. 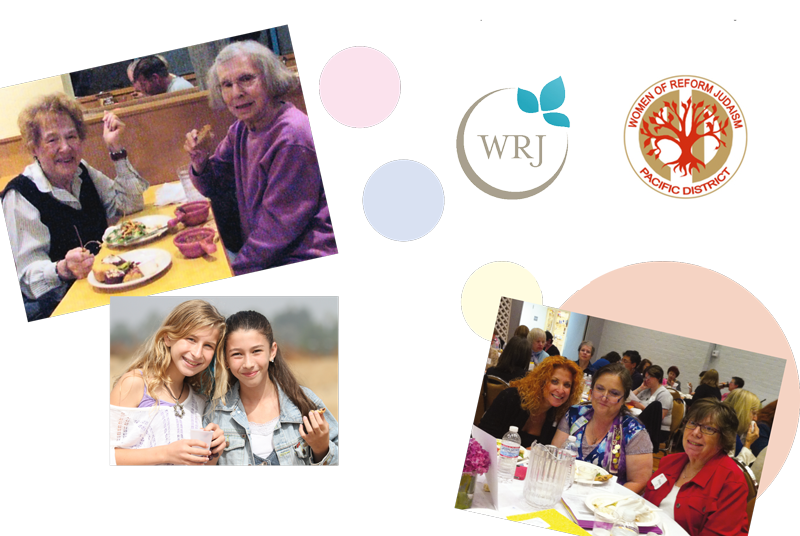 WRJ reaches out to the larger community, standing at the forefront of social action, community services, and education. WRJ has a collective voice that is strong and impactful. WRJ provides funds for the training of Rabbis, Cantors, and Jewish Educators through the Y.E.S Fund. WRJ donates to World Union for Progressive Judaism. Why should I join Sisterhood? Sisterhood’s wonderful cookbook, Kvelling in the Kitchen, is available! Chock full of great recipes, tested in the kitchens of our talented Sisterhood ladies, it is a must in our own kitchens. $25 – proceeds benefit Sisterhood and our Congregation. Copies are availablein the Temple office. Interested in learning more about the history of your Sisterhood? Read A Sisterhood History by Lisa Lewis.Copies are available now in the gift shop for $18.